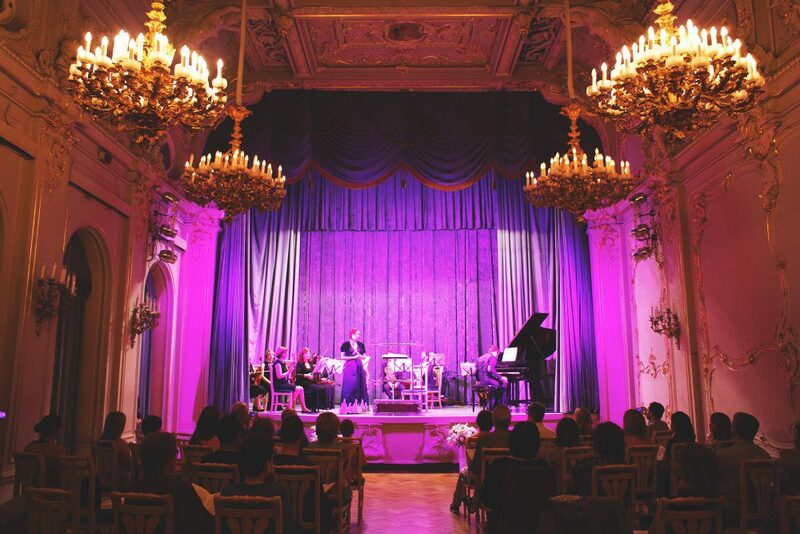 Enjoy an evening of classical music at one of St Petersburg’s beautiful palaces –The Grand Duke Vladimir Palace, with this 2-hour experience. 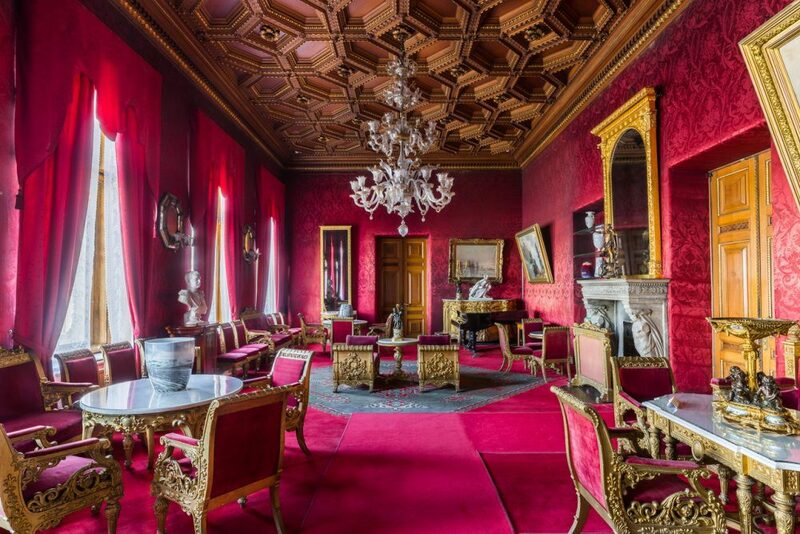 Take a seat in the magnificent Hall of the Palace. Then, lose yourself in much-loved works by Russian composers such as Tchaikovsky, Shostakovich and others, all played by an orchestra of St Petersburg. As the perfect curtain raisers, enjoy an interesting pre-concert tour of the palace’s halls and a glass of sparkling wine. Upgrade to include round-trip transfers from your St Petersburg hotel. Ideal for classical music enthusiasts and romantic experience for couples. 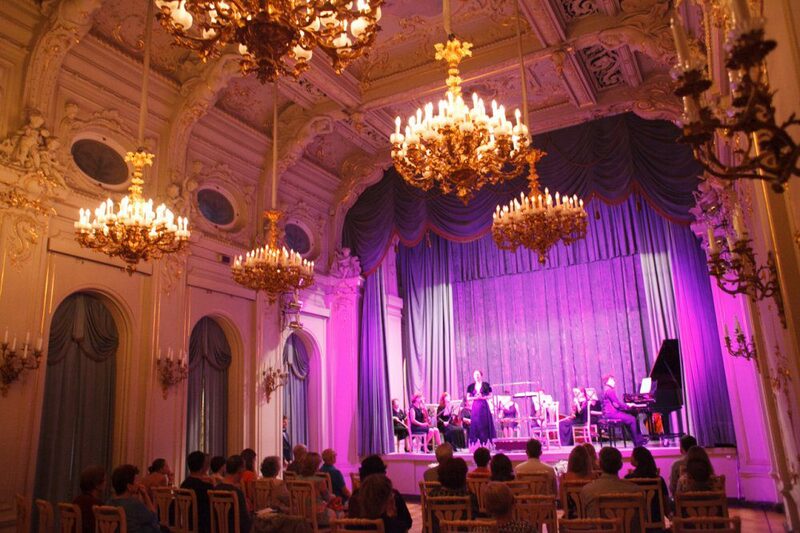 Treat yourself to a concert of Russian classical music in a luxurious Barocco style palace in St.Petersburg, Russia. You will hear an incredible collection of Russian musical masterpieces recognized by time and generations, performed by the orchestra of St Petersburg. The concert takes place in unique Hall of The Grand Duke Vladimir Palace. 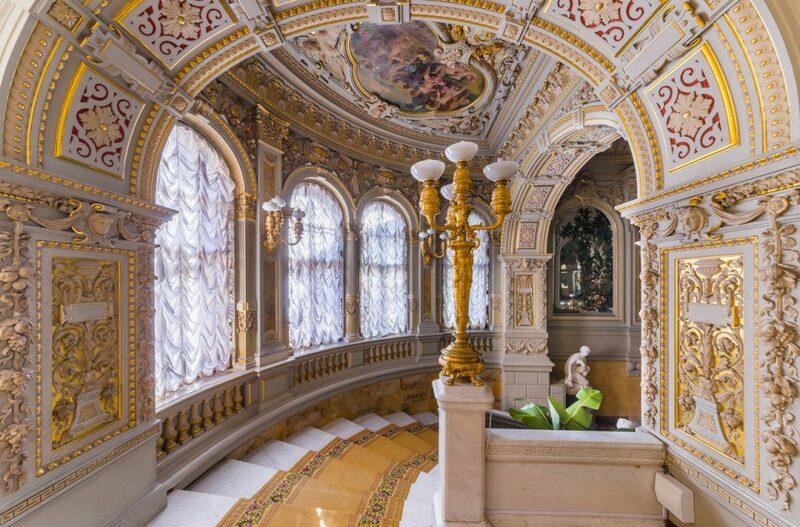 The classical style hall is abundantly decorated with gold and will amaze even demanding audience. 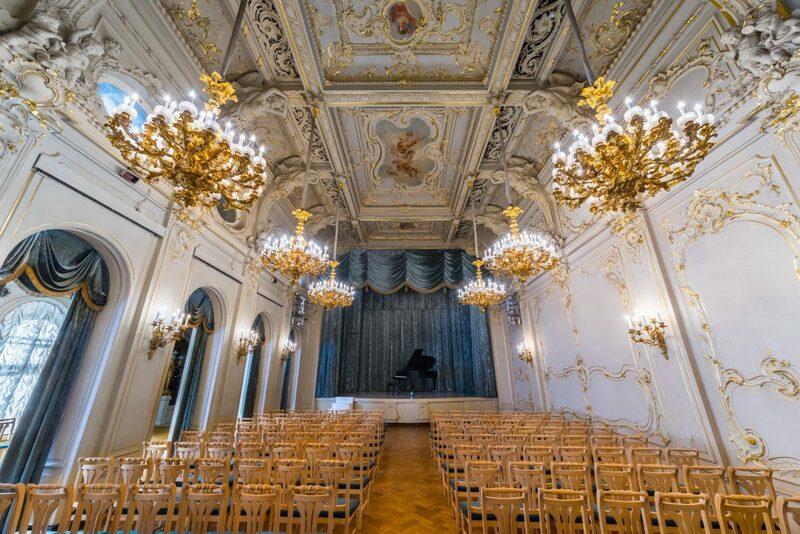 Before the concert the guests will be invited to see the most interesting halls of the rich master of the house. 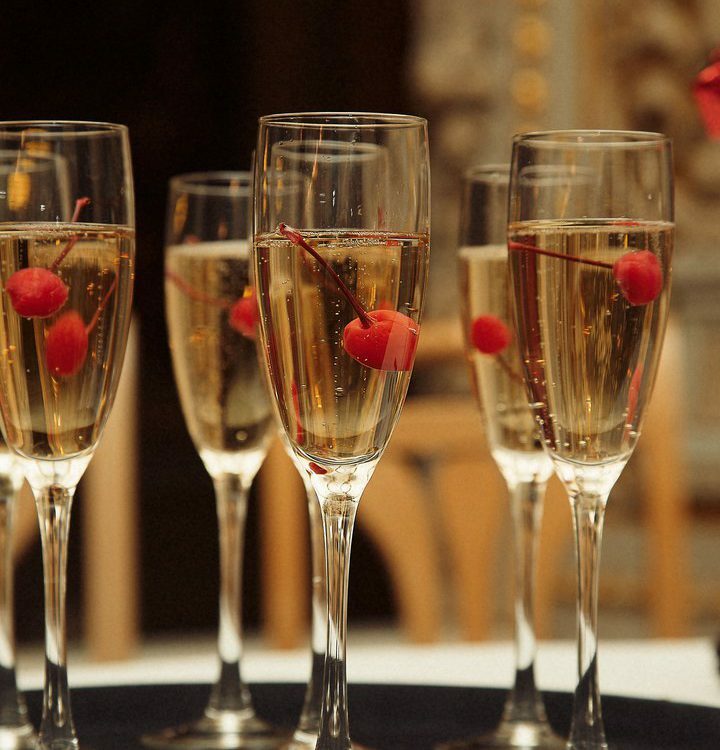 Moreover the guests will be offered to treat themselves with a glass of sparkling wine whereupon they will be invited to enjoy masterpieces of Russian classic music of such genius as Tchaikovsky, Rimskii-Korsakov, Shostakovich, Stravinsky, Prokofiev, Glinka and many other outstanding composers. The evening will immerse you in the atmosphere of Russian aristocracy. 2 hours (welcome tour with drink + actual show) A welcome drink is served in one of the palace halls during the short tour. Seats are unassigned, so feel free to take the one you like best. Actual concert duration approximately 60 minutes, depending on how many additional play requests are received.